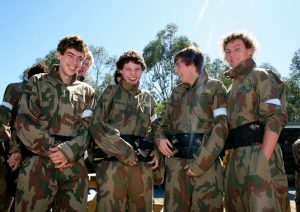 Every weekend children around Australia are taking part in fun-filled birthday paintball parties. With the incredible safety standards at all AUPBA-approved paintball centres, parents can be rest assured that their children will be well looked after. At the end of the day, your children will be grinning from ear to ear as they tell you all about their amazing paintball adventure! Kids have an absolute blast playing paintball and it is also a sport that teaches players about teamwork and leadership. Safety is the paramount concern for all paintball centres. All equipment is state-of-the-art and all players will have their goggles touch-tested before entering the game zones. For complete protection, certain paintball centres have invested in the very latest full-head protection goggle systems. The centres with this equipment are the Delta Force centres, all of which have received a 5-star rating from the AUPBA. 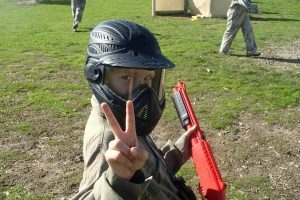 Be it a Delta Force centre or another AUPBA-approved paintball centre, they’ll ensure each and every birthday party is the ultimate paintball experience – from happy birthday wishes to a special game for the birthday boy or girl, a paintball birthday party is always an event to remember. For a birthday party that every kid will enjoy, be sure to play at an AUPBA-approved paintball centre.